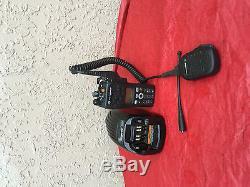 Motorola XTS2500 Digital Portable Radio H46 UCHPw2bn - 700/800 Mgz. 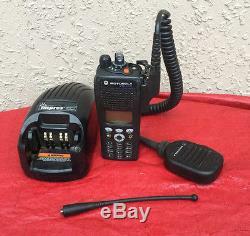 Includes battery pack, speaker mic, charger and power ON. YOU WILL RECEIVE EVERYTHING IN THE PICTURES. Unit was tested with battery pack and it powers on. Please view all pictures, what you see is what you get. Item has been used previously. May have some signs of cosmetic wear; sticker residue, dents, scratches. Unknown if unit Fully operational or functions as intended. No ports or buttons were tested. 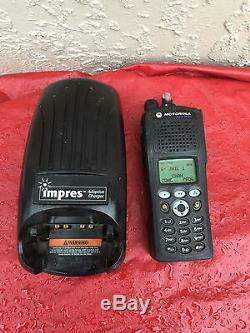 This radio has been upgraded it will work on any phase 1, APCO25 trunked system using 9600 or 3600 baud trunking. 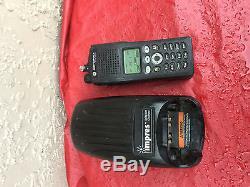 The item "Motorola XTS2500 Digital Portable Radio H46UCH9PW2BN 700/800 MHz" is in sale since Friday, June 2, 2017. This item is in the category "Business & Industrial\Facility Maintenance & Safety\Surveillance & Alarm Equipment\Two-Way Radios". 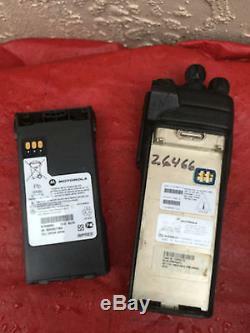 The seller is "angelbb407" and is located in Kissimmee, Florida. This item can be shipped to United States.